This was sent by Ron Tennant who heard the P.J. Special last Monday (1/6/09) and enjoyed it so much that he wanted to let me know. The painting was done for P.J. a couple of years ago. It's P.J. 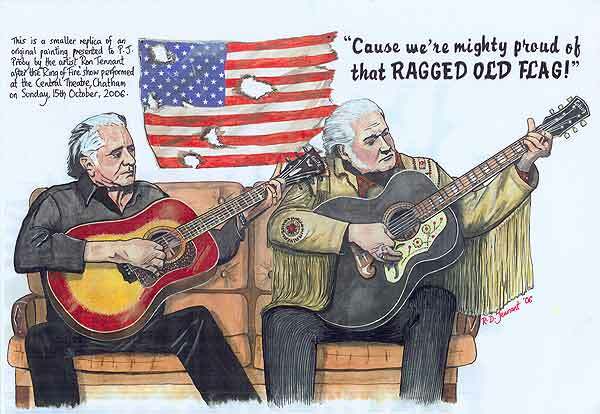 & Johnny Cash jamming together (on my little settee).P.J. has the pic hanging in his Winnebago.